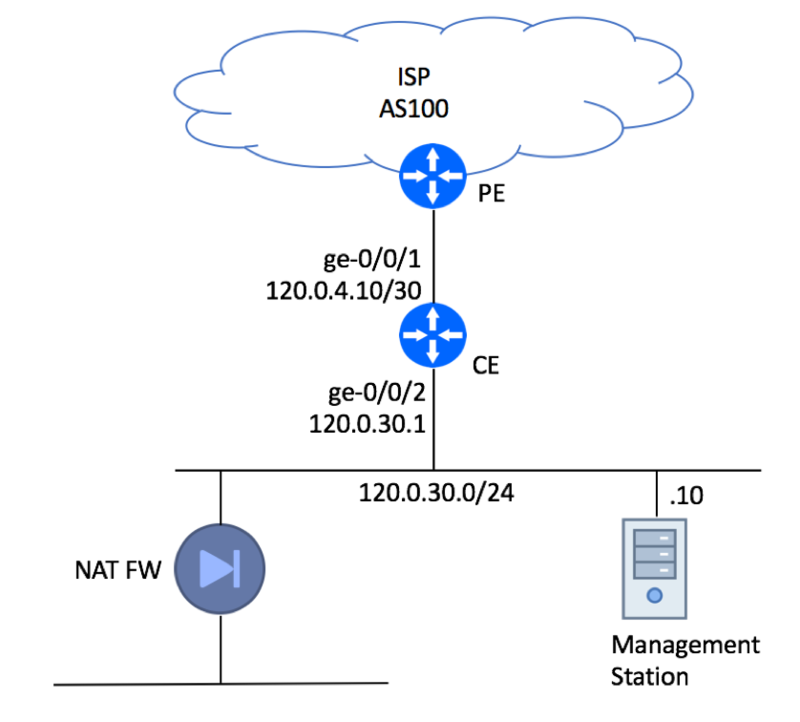 Deliver end-to-end VLAN connectivity between Juniper QFX5100 devices leveraging EVPN with VXLAN encapsulation. MPLS VPN Configuration example with IS-IS based Segment Routing (SPRING) on Juniper QFX5100 devices. The purpose of this lab is to demonstrate what LDP or RSVP-TE can be easily replaced with SR.
Configuration examples of VLAN-Based EVPN service using MPLS Dataplane Encapsulation in Segment Routing-Enabled Juniper Network. Discussion on how to migrate to BGP-Free Core by deploying MPLS as network tunneling mechanism. Document provides step-by-step migration steps for a Juniper-based network. Configuring Dual-CE BGP High Availability Site. This article provides Juniper Configuration Example that uses BGP AS-Prepend to identify primary and secondary paths. BGP Best Practice Recommendation documented in RFC 7454 and discussed in “BGP Best Practices or Dissecting RFC 7454” article mandates the use of inbound prefix-list filtering to discard bogus route-advertisements to and from BGP peers. It is strongly recommended that you implement aforementioned filtering if you accept the full or partial BGP view from your peers. You do not need to maintain inbound bogus route filtering if the only route you are planning to accept from your service providers is the default 0.0.0.0/0 prefix. In this scenario, you should configure an explicit prefix-filter permitting 0.0.0.0/0 route and rejecting all other advertisements. Over the years, networking professions have used various terms to refer to the same thing. These “bad” advertisements might be referred to as Bogons, Martian Lists, Bogus Advertisements, etc. The current list is comprised of IP Blocks that are used for some kind of special use, such as RFC1918 space, Loopback block, etc. Sometime ago this list also included valid IPv4 prefixes that have not been allocated by The Internet Assigned Numbers Authority (IANA). IPv4 Space Exhaustion put stop to this. For the majority of ISPs and Enterprises, it is no longer feasible to include remaining unallocated blocks to the Bogons least, as this IPv4 space is small and constantly changing. The situation is very different when it comes to IPv6 space, and it will be discussed in IPv6 Martians article. The main reason for filtering-out Bogon advertisements is the Internet security. Bad things might begin to happen if you allow Bogon blocks to be accepted into your BGP domain. Let’s consider a few scenarios where hackers were able to advertise RFC1918 block to your network.